Large numbers of species are at risk of global extinction from climate change. As a result, some governments are trying include wildlife in their plans for how to adapt the management of natural landscapes to a warming world. The problem is we still know very little about the sorts of environments that could help wildlife survive adverse climate shifts. But we do know that, during the Ice Age, pockets of warmer conditions protected species such as red squirrels and even red deer from the extreme cold. So, could modern versions of these "refugia": locally cool habitats such as bogs, alpine environments or shaded valleys give species what they need to survive today's warming? 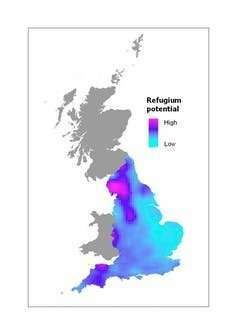 Using 5m records of plants and insects collected by citizen scientists in England, my colleagues and I looked for signs that refugia are protecting species today. We found that quite a number of sites around the country are already beginning to act as refugia. 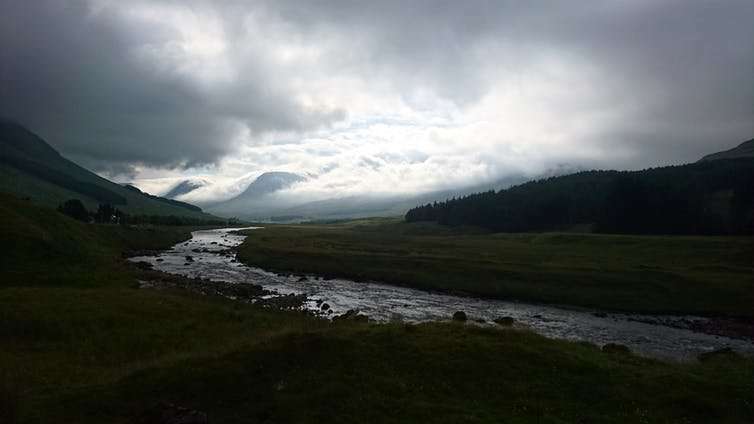 This was particularly the case in areas where the landscape is hilly or steep, where the local climate conditions (microclimate) vary more often. We estimate that these areas of variable microclimate have reduced the risk of extinction for insects and plants that are particularly sensitive to warming by an average of 9% and 22% respectively. Incorporating these key wildlife areas into our plans for climate change could help save more species and local populations from extinction. Our research indicates that inside these refugia the microclimate can vary over very short distances. This can be as little as few hundred metres across a shaded valley. But a variable microclimate can also develop in hummocky terrain, which has lots of slopes facing different ways – both towards and away from the sun. These local differences can be as much as 7°C during the hottest parts of the day. For some species, that can be the difference between extinction or survival. A surprising aspect to the work was that the refugia we found weren't necessarily forming in the coolest parts of the landscape. Instead, they formed in those areas that had the most variable microclimate. It is therefore quite possible that there are lots of alternative habitats for threatened species close to where they already live. This would mean that the species that live in these refugia wouldn't have to move far to make use of them. This could be particularly important for plants and, as we already know, they can't shift their geographical range as quickly as animals in response to warming. But we found that animals also benefit from refugia and, in most cases, animal species will be able to make use of numerous alternative thermal habitats within the lifetime of an individual. So how can we protect refugia from climate change, to make sure they are available for wildlife to use in the future? In some ways, the areas we've identified are quite different to the expansive, continuous areas of habitat that we currently prioritise for wildlife conservation, such as large areas of moorland or bog. But there is certainly some overlap with areas we have already protected for wildlife. This is particularly the case within the UK's network of Sites of Specific Scientific Interest (SSSIs), the highest category of legal protection we can give to parts of the landscape. So at least we won't be starting from scratch when we adapt our conservation plans to the huge challenge of climate change. But some important sites for refugia lie outside these networks, and we should aim to protect as many of these as we can. In regions with fewer, naturally occurring refugia – flatter, often low-lying areas such as the east of England – we might even want to be more radical and consider using mechanical diggers to create hummocky terrain from scratch. This might sound expensive, but becomes far more attractive if it can be done where there is building or engineering work already going on, as the equipment and expertise will already be available and on site. For example, we could add the creation of refugia to plans for new housing developments. There are particular wildlife benefits to be had where digging exposes more alkali minerals such as as chalk to the air. This allows rarer, specialist plants and animals to move in and make use of the unusual soil conditions that arise. As the world warms up, much of our wildlife is facing a future of warming temperatures in landscapes which, thanks to human activity, are already hostile to many species. 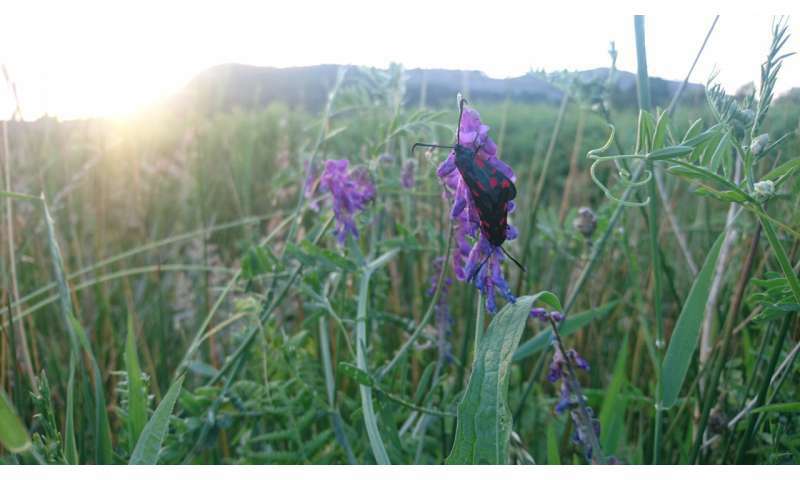 Refugia won't "save" species from climate change, but finding and protecting the sorts of areas that give our flora and fauna the best chance of survival seems like a first and perhaps obvious step towards a more integrated approach to managing our environment. This would help us to safeguard its value as the provider of the food we eat, the water we drink and the natural landscapes we enjoy.